Returns + Shipping | Balsam Mountain Leather Co.
We will accommodate returns when possible for unused items with no visible wear. Please contact us within 10 days of receiving your order if you are contemplating a return. We offer lifetime repairs on our items to cover workmanship and material wear from normal wear and tear. We will try to repair your item whenever possible. Most orders ship within 3-5 business days. Backordered items ship in 8-10 business days. If an item you’ve ordered is on backorder, we will let you know. 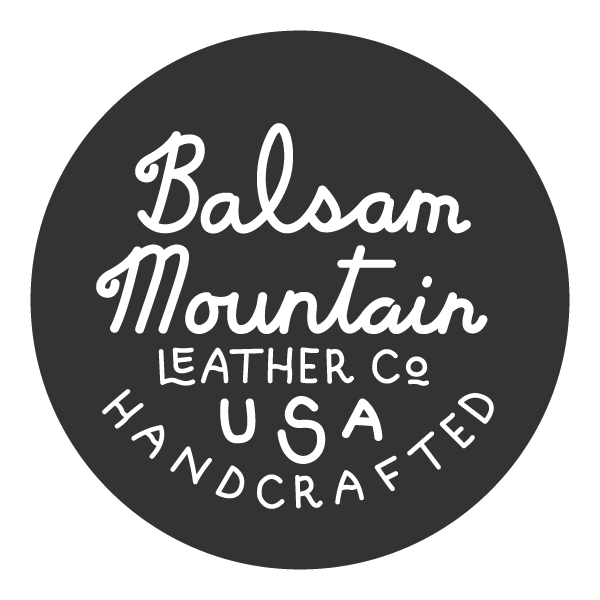 Please email us at orders@balsammountainleather.co if you have questions about your order.